It’s that special time of year when you can spot nettle leaves shooting up in the places that get the first rays of spring sunshine. 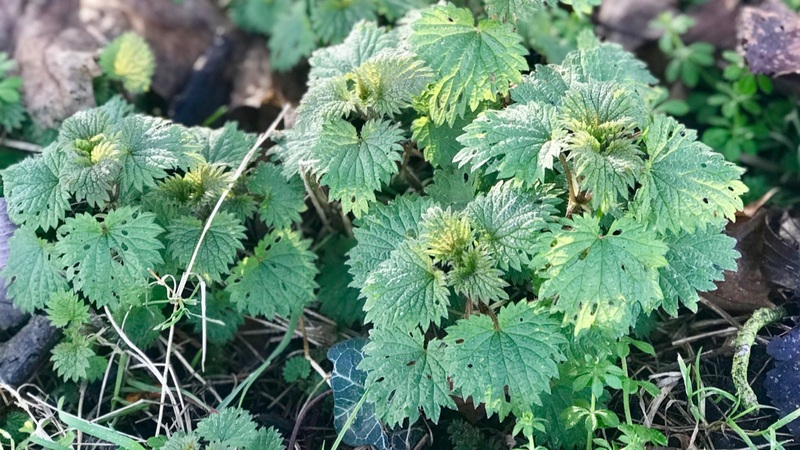 One of the first wild, green plants to herald the return of spring, the stinging nettle (Urtica dioca) is a fantastic superfood that grows on your doorstep. It loves the moist, shadier boundaries in gardens, hedges and woodlands, and in a couple of weeks, when the leaves look larger, wholesome and green, you can start picking them and enjoying the cleansing and tonifying benefits. Fresh, free, and with zero food miles, they can be picked in small batches for immediate use or dried for later. 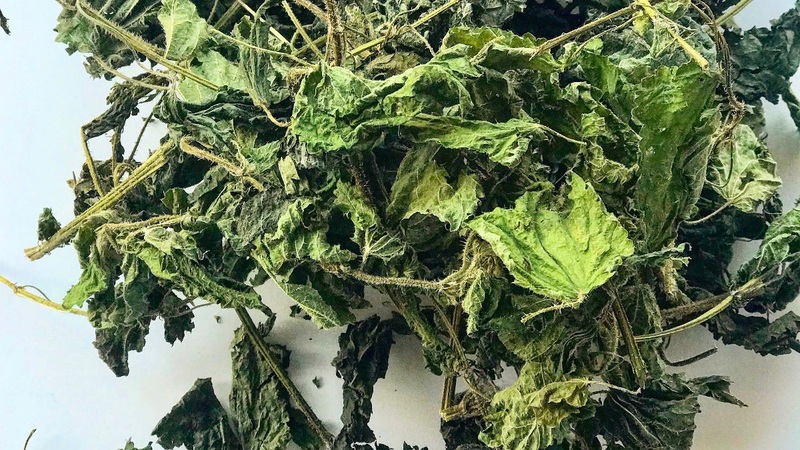 Nettle leaves are bursting with flavonoids, including high levels of antioxidants which is why they are recognised for their effective anti inflammatory actions. They also contain a natural anti-histamine, which is why they can help reduce the inflammation and irritation of many skin conditions and are fantastic for when the hay fever season kicks in. They have a gentle diuretic effect which helps the body flush away toxins and invigorates the system after the sluggishness of winter. Nutritionally, they are particularly high in vitamins A and C, iron, potassium, manganese, and calcium. 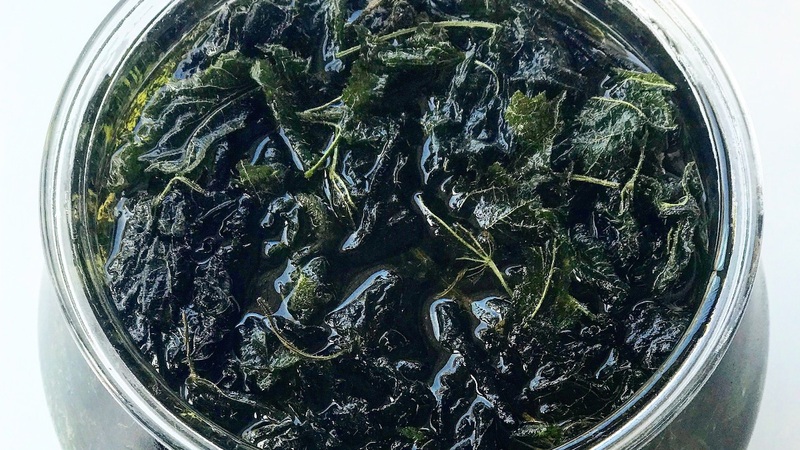 Want to add extra biodynamic potency to your nettle leaves? Harvest on a dry, ideally sunny, "leaf day", preferably between midday to 2pm. Identify the plant. Use a book, app or the back of your hand. If you're not stung it's likely another similar herb such as Dead Nettle. Less is more: pick a bunch of 10-20 stems depending on size as you may not like them and it’s very important to leave a lot more than you harvest. Dry them: bundle the stems with twine or an elastic band, invert and hang in a large brown paper bag in a dry, dark, warm cupboard. Once fully dried (after a week or so), store in an airtight and lightproof container. Label "Nettle Leaf" adding date and where picked. Only cut smaller when you want to use them for a tea or an infused oil: this will help keep their freshness and bioactivity. Break or cut up a few dried leaves. Add 1 heaped teaspoon per person into a pot and infuse in hot water for 5 minutes. Add other herbs such as mint, chamomile – anything you have to hand and like. You can also use fresh leaves for the tea as the hot water will kill the sting. Nettle tea can also act to reduce inflammation, allergic reactions such as hayfever, reduce mild swelling, assist detoxification and boost kidney and bladder health thanks to the plant's astringent and diuretic properties. However, traditionally, nettle root is recommended for urinary and prostate conditions (see roots vs leaf article at end). Put the dry leaves (gently crush in your hands) into a jam jar and fill loosely to the top. Pour over an organic base oil of your choice; e.g olive, sunflower, avocado and fill to the top. Ensure no air is trapped in the leaves. Leave in a dark, warm cupboard for 4 - 8 weeks. Filter and use. The infused oil can be applied to the skin to help ease eczema and psoriasis but is also beneficial when massaged around achey and arthritic joints. Use fresh leaves to make this super green soup, delicious served either hot or chilled, with a swirl of vegan cream. This is quite a freestyle recipe and really depends on what you may have in the kitchen cupboard as well as your tastes. Experiment and enjoy! Blanch the nettles in a pot of boiling water for two mins (until limp but still vibrant green). Drain and run under cold water. Squeeze out as much water as possible and roughly chop. Place the chopped nettles and raw wild garlic (if you have it) in a food processor, along with the parmesan, garlic cloves, lemon zest and nuts/seeds of your choice. Blitz to a rough paste. Season, and with the motor running slowly, add almost all the oil. Add a few good squeezes of lemon juice and chilli flakes if you wish. Transfer the pesto to a clean jar and top with the remaining oil where it will keep for two weeks in the fridge. Want to learn more and read research about nettles? Nettle root vs nettle leaf- what's the difference? But don't forget to come back to the Pippettes online store and stock up! You can also come and say hello at Pippettes, we'd love to see you!